Chestertown, MD, May 2014: Sylvia Maloney, long-time Chestertown resident, Kent County teacher, and former member of the Chestertown Tea Party Festival will be honored as the Grand Marshall of the 2014 Chestertown Tea Party Festival Parade. Mrs. Maloney began volunteering with the festival in the mid-seventies, doing walking tours. She joined the CTPF Board of Directors in the early 1980s, and stayed until 2011. During her tenure, she chaired the Walking Tour committee and the Non-profit food vendor committee. She helped with all aspects of the Friday evening cocktail party and with staffing the information booth on Saturday. Mrs. Maloney cited working on the walking tour narrative and training new people to do tours as her favorite activities during her time with the festival. Of course, many Kent Countians know that teaching comes naturally to Mrs. Maloney. She began her teaching career at Chestertown High School in 1969 and continued at Kent County High School until 2001. While there, she taught math and drama, including directing school productions. Mrs. Maloney earned her MA in Psychology at Washington College and gained certification in administration and supervision. In addition to her teaching duties, Mrs. Maloney was on the Gifted and Talented Curriculum committee, served on two Middle States Visiting teams for Accreditation, served on 3 self-evaluation committees for Middle States Accreditation, and taught Medical Bioethics and SAT Prep in addition to mathematics. She also taught Math Methods to teaching interns at Washington College, some of whom became my teaching intern. 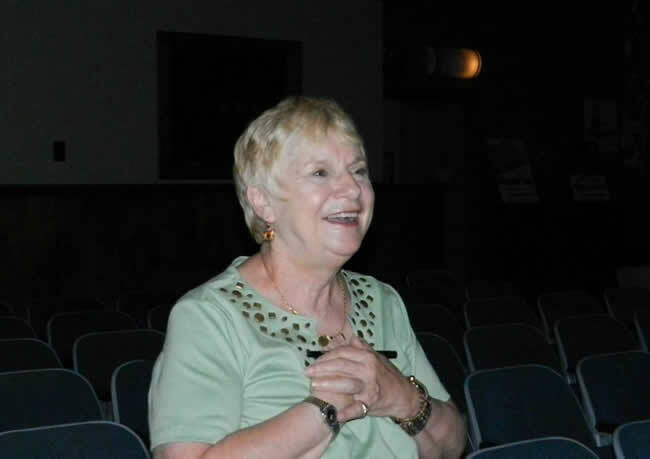 Upon retiring, Mrs. Maloney acted as a supervisor of teaching interns for Washington College. Mrs. Maloney credits her family for being her support system and cheerleader for all of her life, from her parents, brother and children to the extended family of in-laws and wonderful friends that she has made in the community. Her children, Juli and Kurt, both graduated from KCHS; Juli went on to get a Ph.D. at Georgetown. She and her husband Rich have two wonderful daughters, Katie and Meridith. Kurt served in the US Air Force for three years: sadly, was killed in a car accident in 1990. The Chestertown Tea Party Board of Directors thanks and honors Mrs. Maloney for her service to the festival and the community.